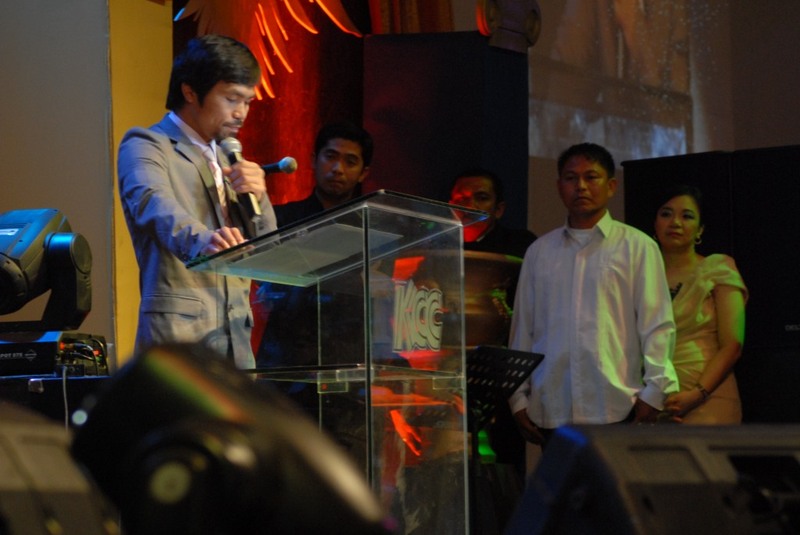 Manny “Pacman” Pacquiao delivered a thanksgiving message during his 32nd Birthday Celebration on December 17, 2010 at the KCC Events & Convention Center in General Santos City. Here are excerpts from his speech. “GOD HAS GIVEN ME 32 YEARS OF LEARNING AND GROWING, OF STRUGGLING AND WINNING. MY LIFE WAS INITIALLY MARKED WITH POVERTY AND NOW IT IS LAVISHED WITH VICTORY. 2010 IS MEMORABLE BECAUSE THERE WERE PEOPLE WHO DISCOURAGED ME FROM RUNNING AGAIN FOR PUBLIC OFFICE. HINDI DAW AKO BAGAY MAGING CONGRESSMAN. SABI NILA, HINDI DAW AKO MAGALING MAGSALITA AT WALA AKONG BINATBAT. SABI NILA, MALAKAS LANG DAW AKO SA LOOB NG RING. MABUTI NA LANG HINDI AKO NAKINIG SA KANILA. I AM MUCH BETTER TODAY THAN I WAS IN THE PAST. GOOD THING I MADE A DECISION TO BELIEVE. FIRST AND FOREMOST I BELIEVE IN GOD. GOD FORMED ME IN MY MOMMY DIONISIA’S WOMB. HE FORMED ME FROM NOTHING INTO SOMETHING. HE KNOWS EVERY BONE IN MY BODY; HE KNOWS EXACTLY HOW I WAS MADE, BIT BY BIT, BODY AND SOUL, I AM MARVELOUSLY MADE! GOD KNOWS EVERYTHING ABOUT ME. THANKS BE TO GOD! IN MY STORY OF HOPE,RESILIENCE, AND NEVER-SAY-NEVER DETERMINATION, I HAVE EXPERIENCED THAT IF YOU SEEK FIRST THE KINGDOM OF GOD AND HIS RIGHTEOUSNESS, ALL OF THESE THINGS SHALL BE ADDED UNTO YOU. MAY MAG-UNDER-ESTIMATE MAN SA AKIN, SIGURADO NAMAN AKO KUNG GAANO AKO KAMAHAL NG DIYOS.LAHAT NG MAYROON AKO, REGALO AT BONUS LAHAT YAN NG DIYOS! KAYA HINDI AKO MAGSASAWANG MAGPASALAMAT SA KANYA! 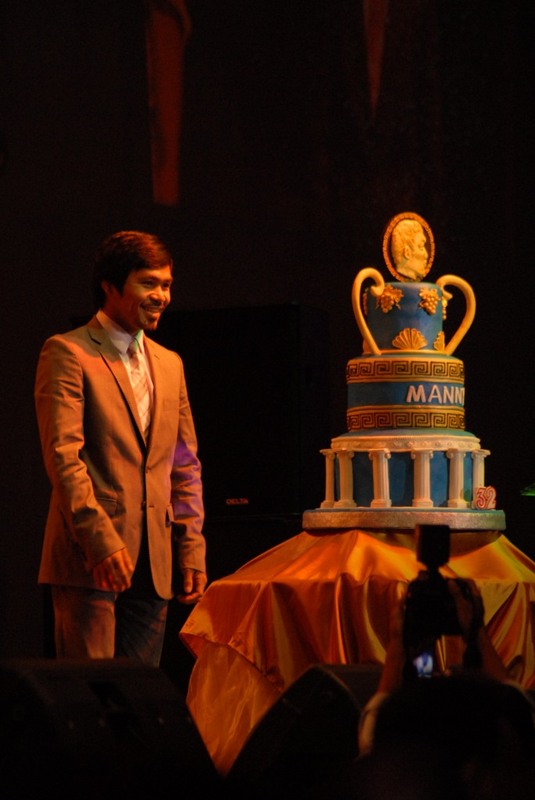 Everyone listened as the Pacman delivered his birthday message. MY FRIENDS, JUST LIKE ME,YOU CAN ALSO GIVE YOUR BEST IN EVERYTHING YOU DO AND GLORIFY GOD IN EVERY DETAIL OF YOUR LIFE. I LOOK AT ALL OF YOU AND I AM REMINDED OF GOD’S BLESSINGS! TONIGHT, I AM SO THANKFUL TO BE SURROUNDED WITH PEOPLE WHO BELIEVE IN ME. MY WIFE JINKEE AND CHILDREN MICHAEL, JIMWELL, PRINCESS AND QUEEN ELIZABETH, YOU ARE MY HEART BEAT. MY PARENTS, BROTHERS AND SISTERS, PATI PARENTS-IN-LAW AT BROTHERS AND SISTERS-IN-LAW. MY PROMOTER AND FRIEND, MR. BOB ARUM, YOU ARE MY FIRM BELIEVER AND DEFENDER. 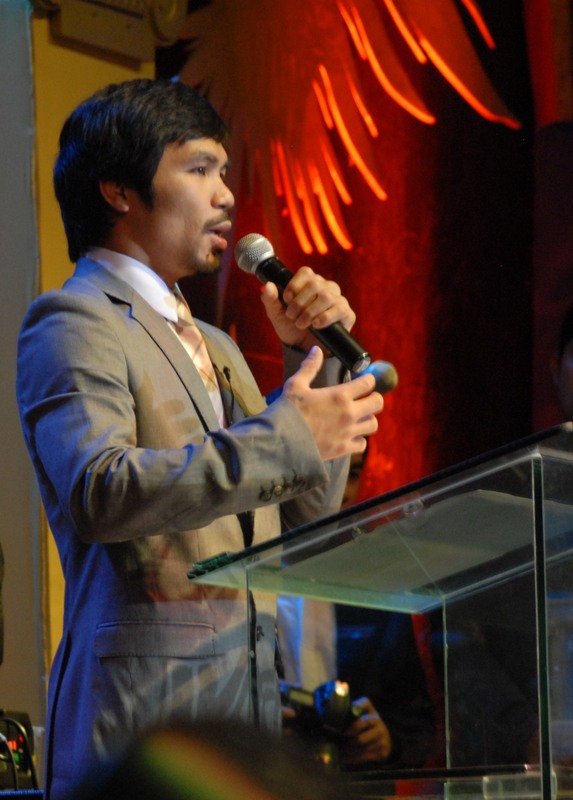 MGA KAPWA SARANGAN AT LAHAT NG MGA KABABAYAN THE COUNTLESS FILIPINOS ALL OVER THE WORLD, YOU ARE MY INSPIRATION! TOGETHER, WE HAVE PROVEN THAT WITH HOPE, RESILIENCE, AND NEVER-SAY-NEVER DETERMINATION, WE CAN RISE ABOVE OUR CIRCUMSTANCES AND SHOW THE WHOLE WORLD THAT FILIPINOS ARE MEN AND WOMEN OF DESTINY. A PASSIONATE MAN FOR OTHERS. 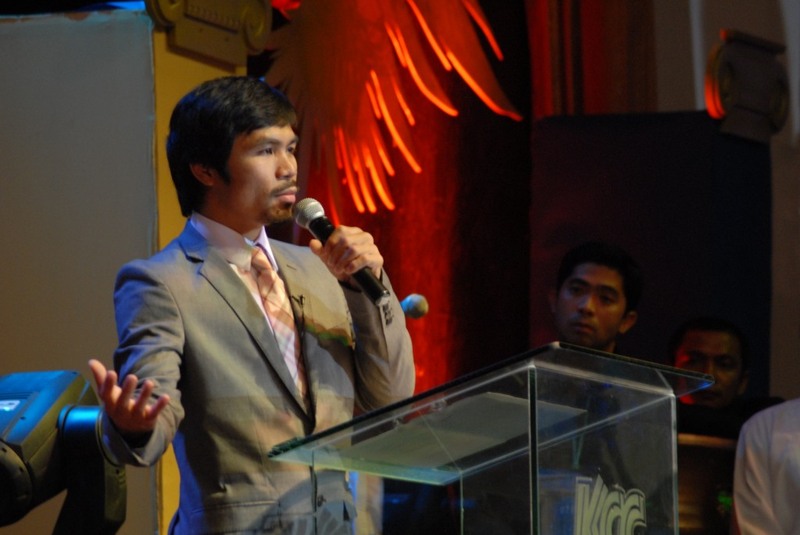 This entry was posted in Birthday, Celebration, Manny Pacquiao and tagged Congressman Manny Pacquiao, Manny Pacquiao Birthday. keep it up!…don’t expect for return, just share your blessings with open heart and open mind…i like his message since he emphasized God’s essence to humanity.